If you are a regular reader of my blog, you might remember that not too long ago I reviewed the Dial Miracle Oil Body Wash and loved it. Today I am SUPER excited to bring you a new product from Dial, this being the Dial Miracle Oil Hand Soap. First, let me start off with the scent. It smells exactly like the body wash, a very feminine floral scent. It will stay on my skin for a fair amount of time before wearing off. It doesn't interfere with any of my perfumes at all, it's very complimentary. 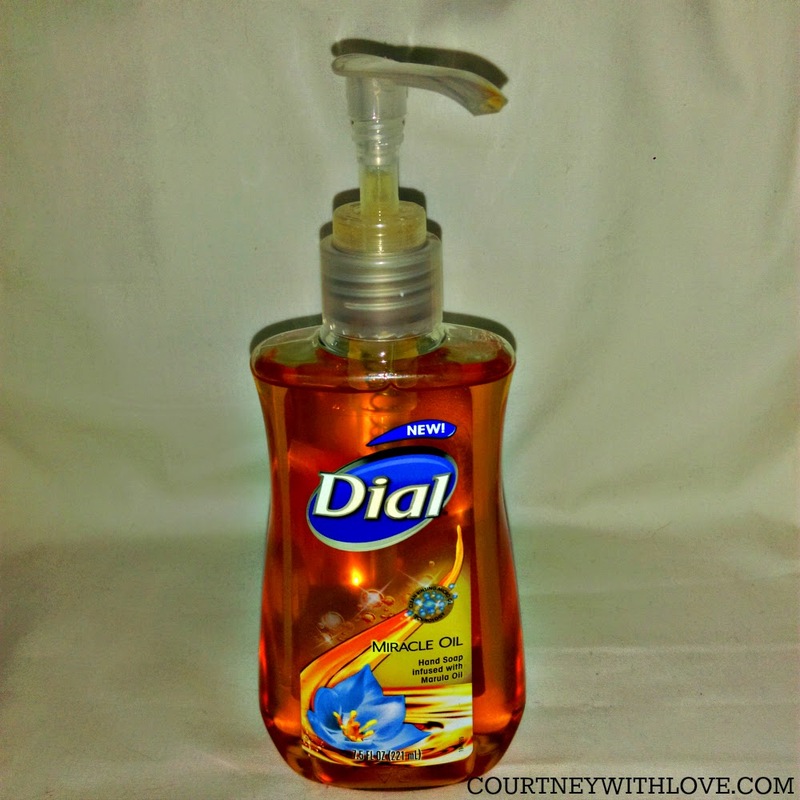 Now to the thing that I love most about the Dial Miracle Oil Hand Soap... how nourishing it is. After I wash my hands, which I do quite often throughout the day, they feel so soft. It's like I just step out of the shower every time I wash my hands. With other soaps that I have used, the more I would wash my hands, the more dried out they would be. My hands would even start to become flaky, dry and in severe cases start to crack. My hands experience only luxury with the Dial Miracle Oil Hand Soap. Soft, nourished, and loved hands! Since I am in love with this hand soap, I am giving one of my lucky readers the chance to try out this hand soap FREE! 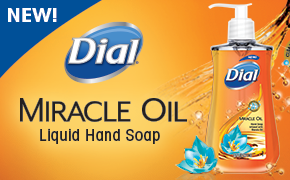 You can enter to win a bottle of the Dial Miracle Oil Hand Soap right here! This is only open to USA residents. Prize will come in the form of a coupon for a FREE bottle. Ends May 10, 2015 at 11:59pm EST. I wash them a lot as i am a server and am always washing my hands. I wash my hands about six times a day. I probably wash my hands at least a dozen times a day. I possibly wash my hands too many times a day. To the point they get super dry and crack. Everytime I use the bathroom (duh), anytime I clean something, cook something, change a diaper, blow my nose, go shopping, or anything I find dirty. Diet Diaries | Hello April!